Starting January 1, 2018, the California Minimum Wage will increase. Make sure your business is in compliance with these new regulations. For businesses with 25 or fewer employees, the legal minimum wage will be $10.50 an hour. 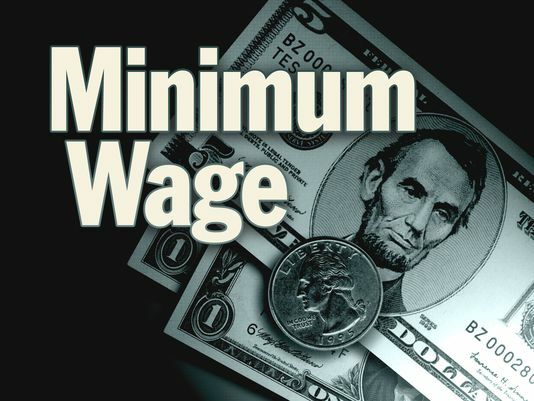 For businesses with 26 or more employees, the legal minimum wage will be $11.00 an hour. 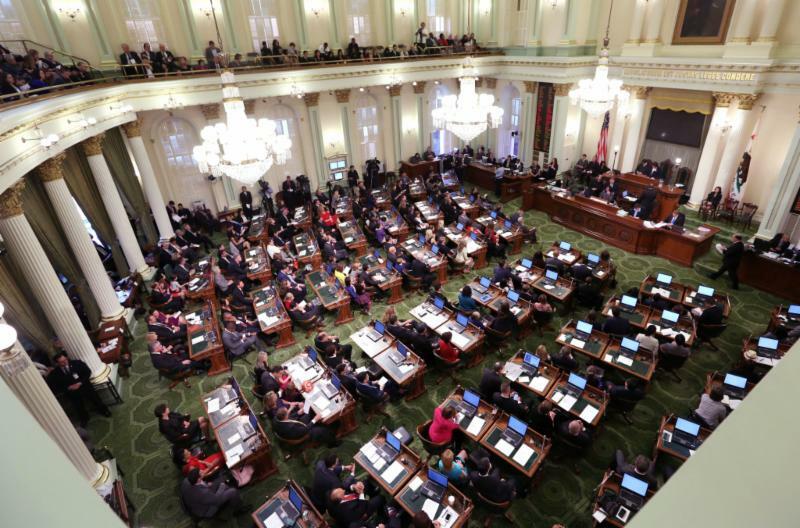 Each year, the Simi Valley Chamber publishes a vote record of key issues and the positions taken by our legislative representatives, Senator Henry Stern and Assemblyman Dante Acosta. The CalChamber assesses the vote records of these legislators related to pro-business issues and gives each legislator a score. 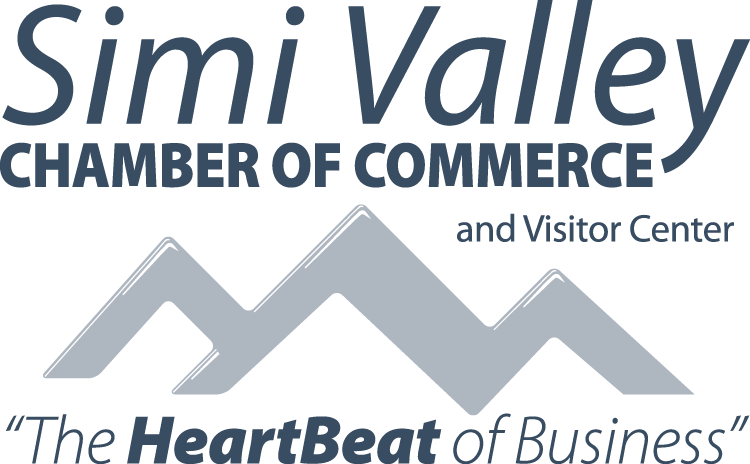 Click here to download the Simi Valley Chamber's 2017 Vote Record. To see the CalChamber's full 2017 Vote Record, click here. On December 1, 2018, the U.S. Senate passed H.R. 1, the Tax Cuts and Jobs Act. To read more about the specifics of the tax plan, click here. 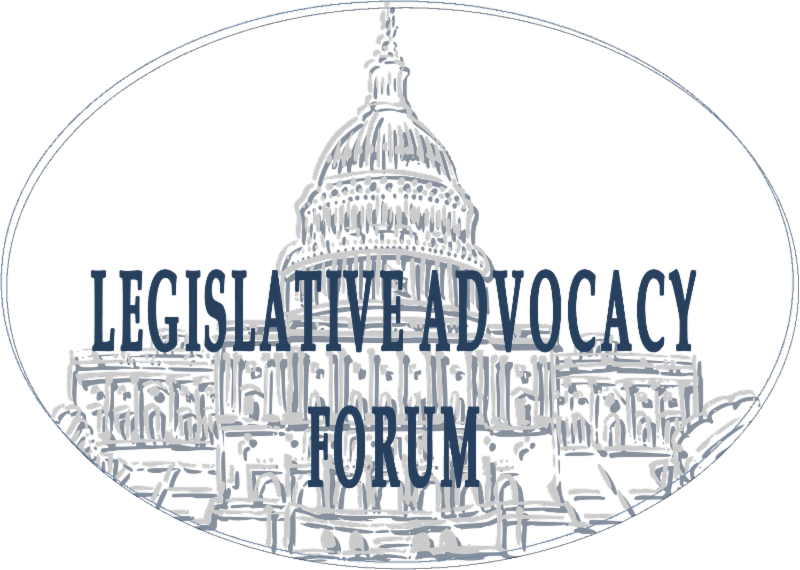 From here, the bill will go through committees in both the House and Senate to work out the difference, go back to the House and Senate for final approval, and reach the President's desk for approval or veto. Click here to read more about how the tax plan would impact you and your business. 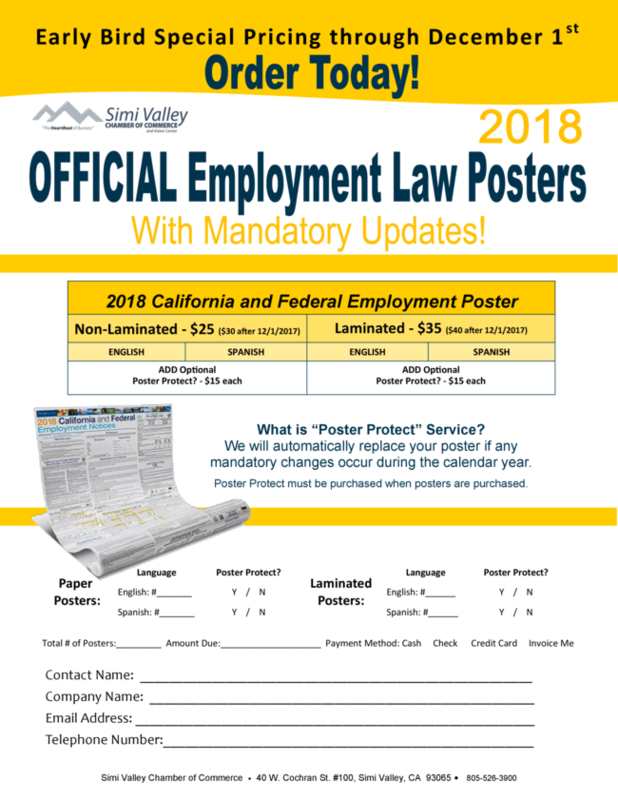 The Simi Valley Chamber of Commerce is now selling Labor Law Posters for 2018! This poster contains the 17 state and federal employment notices every California employer must post - even if you only employ one person in California. 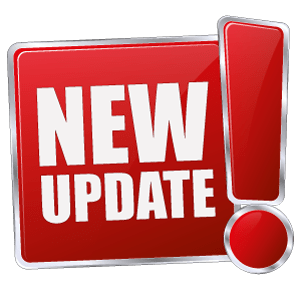 CalChamber's all-in-one poster includes mandatory updates to the Cal/OSHA notice and the DFEH Discrimination and Harassment notice for January 1, 2018, along with other new regulations. The Simi Valley Chamber Legislative Advocacy Forum (LAF) meets on the fourth Wednesday of each month to discuss current legislation and its impact on businesses. Staff from the state legislature, U.S. Congress, County of Ventura, and the City of Simi Valley attend these meetings. Join us for the next meeting on Wednesday, January 24th at 8:00 AM in the Chamber. Sign up for meeting reminders here.